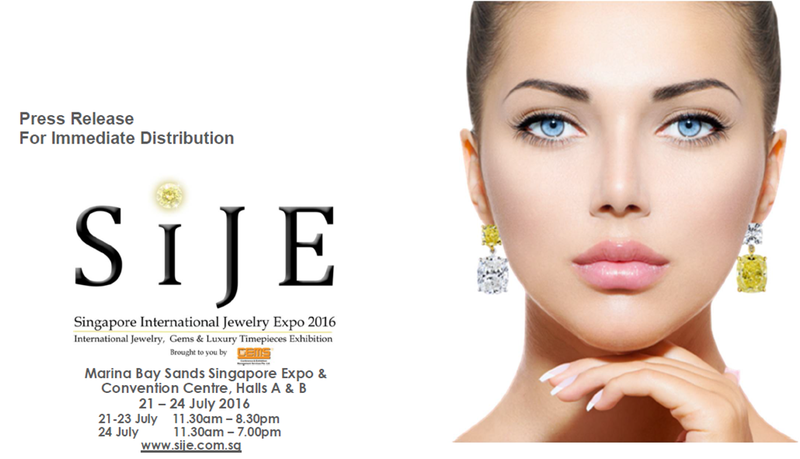 July 21, 2016, Singapore The Singapore International Jewelry Expo 2016 (SIJE) opened its doors at the Marina Bay Sands Convention Centre to the public this morning. The show this year is larger than ever and celebrates the love of jewelry, breathtaking gemstones that make a statement and showcase ‘beauty inside out’. Dr Lily Neo, Member of Parliament for Jalan Besar GRC and Deputy Chairperson, Government Parliamentary Committee for Health will be SIJE 2016’s guest of honour at its official opening ceremony this afternoon. Over the next four days, from July 21 to 24, 2016, some 15,000 visitors are expected to visit more than 200 jewelers from 25 countries around the world. SIJE 2016 gathers the world’s leading jewelers from the jewelry capitals of the world. The country pavilions and contingents are made up of 40 from Hong Kong, 35 jewelers from Italy, 30 from India, 16 from Japan, 15 from Cambodia, 9 from Indonesia, 8 from Thailand, 6 from Myanmar, a newcomer from Peru and 31 homegrown jewelers from Singapore, among many more from 25 countries in all. With more than US$150million in exhibits spread over 8,000 square metres, this show is the largest consumer jewelry in Singapore and the region. According to global market research company and SIJE’s knowledge partner, Euromonitor International, jewelry is the best performing personal accessories category with sales worth US$ 316 billion in 2016. It is also the fastest growing segment within the personal accessories industry with 3 percent growth between 2015 and 2016. Jewelry experienced 15 percent year-on-year growth of internet retail sales, reaching US$ 19 billion in 2016, up from US$ 9 billion in 2011. The largest and most sustainable consumer jewelry show in this region, offers its visitors so many reasons to visit it this year including the ‘Million Dollar Row’ by IVY Masterpiece, DeGem, Zydo, Renee and RCM . 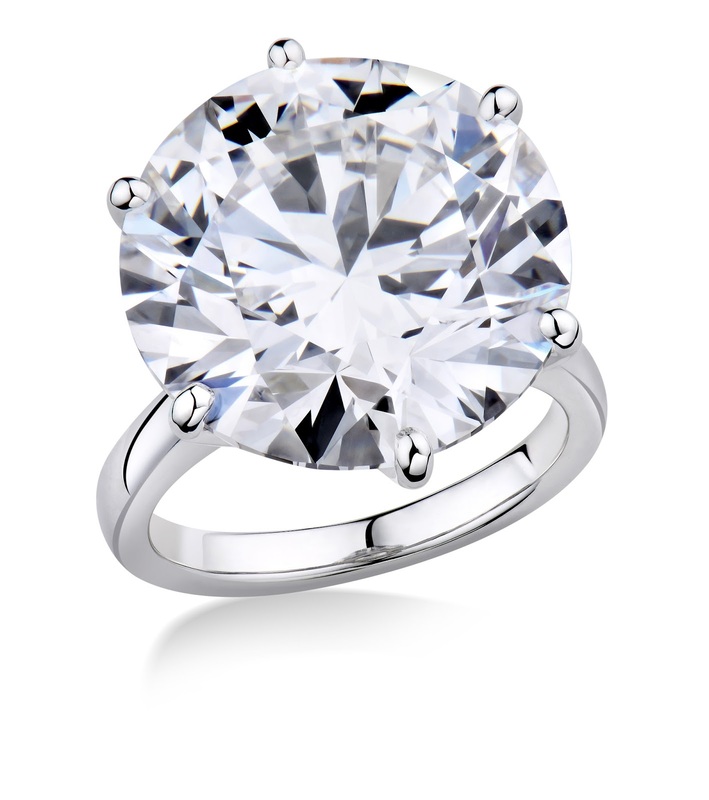 Among the exhibits is a 27-carat flawless round, brilliant GIA certified diamond priced at SGD3.5million presented by IVY Masterpiece and a USD5million Burma Ruby necklace weighing in at 82 carats in total at the DeGem International booth. The crown jewel of the show is a piece of historical significance, an Emerald pendant, carved and shaped by Fortunato Pio Castellani in the 19th century. It was gifted by Napoleon III to his lover, Countess of Castiglione. This historical piece is currently in the private collection of Roberto Sciaguato. This year, the organizer of SIJE has commissioned some of the most exquisite and affordable creations from jewelers around the world for its visitors. These start from S$250 and are crafted by some of the most talented jewelers from Italy, Hong Kong, India, Malaysia, Singapore and more. Said show organizer Edward Liu, PBM, Group Managing Director of Conference & Exhibition Management Services, “we are delighted to partner HSBC Bank. Visitors to the show can look forward to enjoy exclusive SIJE – HSBC Credit Card promotions. SIJE 2016 is supported by the Italian Trade Commission, Ministry of Commerce, Cambodia, Guangzhou Watches & Clocks Association, Hong Kong Jewellery and Jade Manufacturers Association, Myanmar Gems & Jewellery Entrepreneur Association and The Gem & Jewellery Export Promotion Council.